Over a thousand years of craftsmanship have inspired the final form of the Kamikoto Santoku, a handmade steel blade that will stand the test of time. 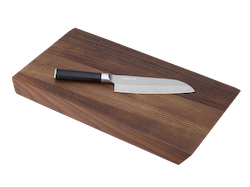 The Santoku features high-quality steel from Honshu 本州, Japan – a steel with high corrosion resistance and durability. Each blade completes a rigorous quality assurance process, and is tested and retested to ensure it meets the distinction and caliber of Kamikoto 神箏. The Kamikoto Santoku blade is 7 inches long – a single bevel 片刃 Kata-ha. Both blade and handle are satin finished for a subtle, yet stunning luster. This exquisite knife comes in a natural-colored ash wood box for storage and safekeeping. 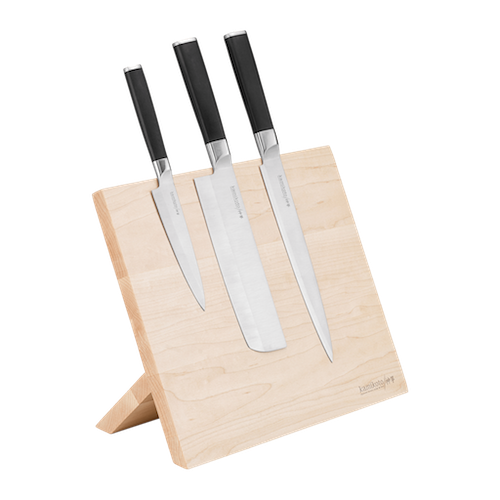 The Santoku handle is secure with a non-slip surface and is carefully sized to keep your hand from touching the cutting surface. You can tell the quality of Kamikoto 神箏 by the feel it gives you: substantial, yet light; slender, sharp, and fluid. 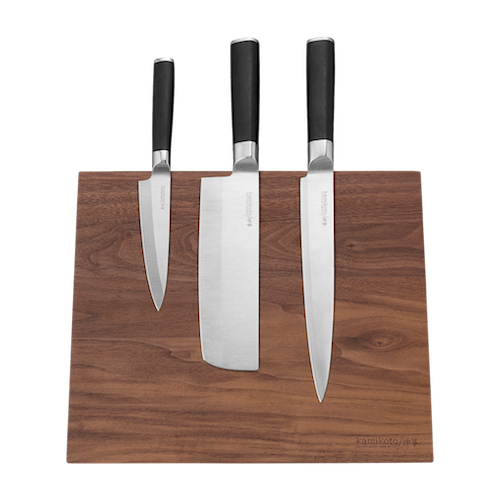 Each knife is precision balanced and weighted for functionality and long-lasting performance. 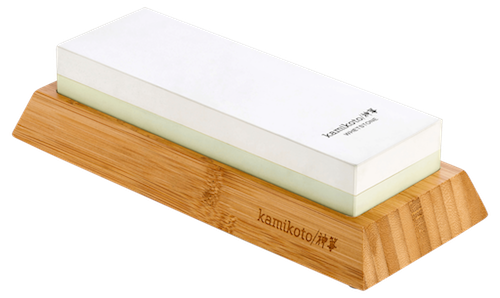 The Kamikoto 神箏 Santoku Genten is made for a lifetime of use and excellent handling.